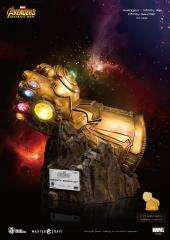 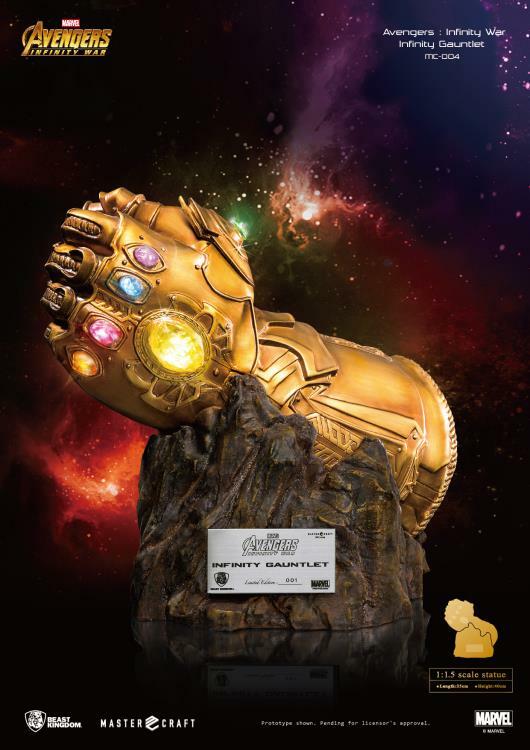 The stunning Infinity Gauntlet statue features extremely detailed sculpting and paint work and features metallic details as well as transparent parts for the gems for an authentic appearance. 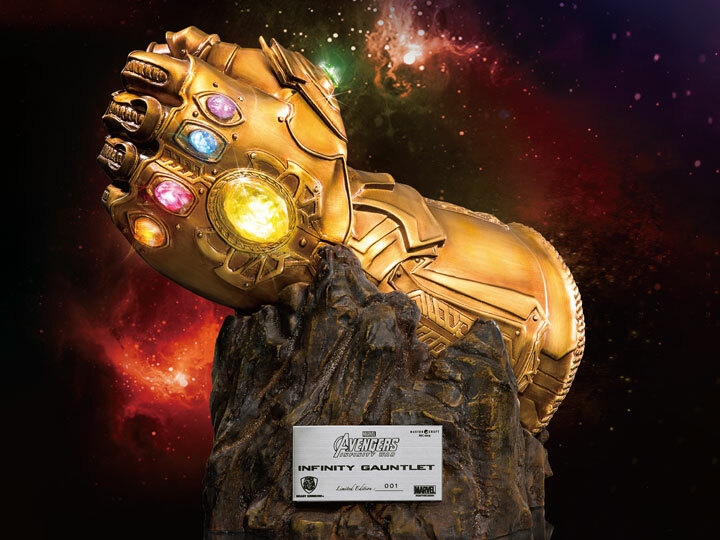 The Gauntlet includes a sculpted base to make this the perfect centerpiece for any Marvel collection! 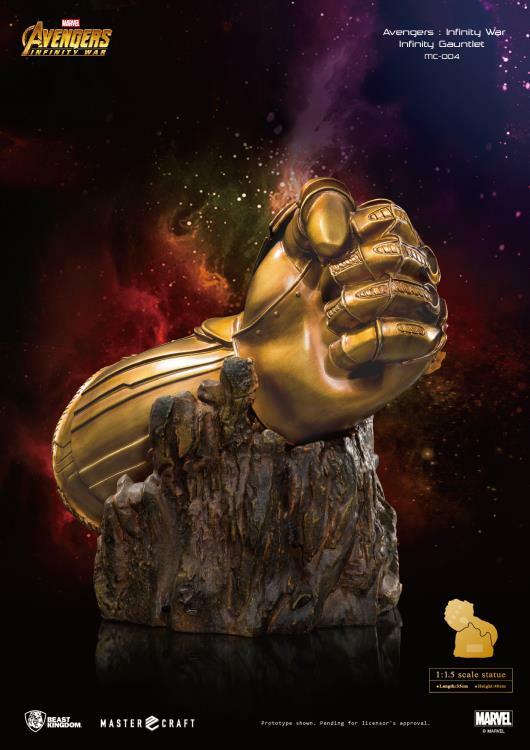 In order to make the statue as close to its original portrayal as possible, special metallic coating and weathering process have been applied to make the Infinity Gauntlet glove truly realistic. The meteor shaped base is the finishing touch that emphasizes the ultimate power that the Infinity Gauntlet possesses. With the built-in LED that glows at a breathing rhythm, you can now turn it on in the dark and relish its absolute power of annihilation that is capable of wiping out all beings in the universe in an instant!